There'll be a point in the future where everything is Cloverfield movie. 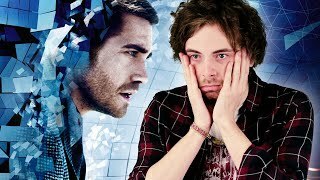 The MCU will be a Cloverfield offshoot. 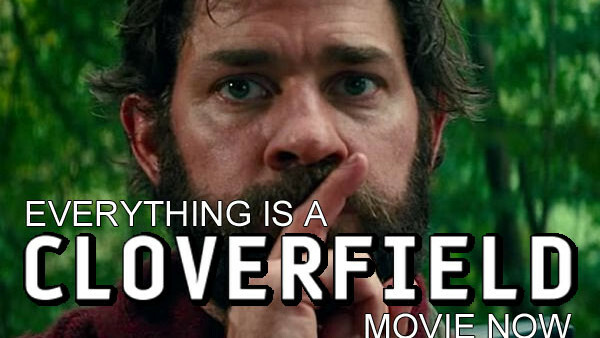 Adam Sandler's new movie will be a Cloverfield movie. Your breakfast will be a Cloverfield movie. This article is a Cloverfield movie. So it should come as no surprise that we now know of ANOTHER movie that almost joined JJ Abrams' tenuous and confusing shared universe. According to A Quiet Place's writers Scott Beck and Bryan Woods (who spoke to /Film) the speculation about the silent horror movie being part of the franchise that sprung forth when the first trailer arrived were almost entirely on the money. Now that they're looking towards more A Quiet Place movies as a franchise, that's definitely worked out for the best. It's a shame that the Cloverfield franchise is already being talked of in reductive terms, but that was always inevitable when The Cloverfield Paradox was so cynically dumped into the universe to rescue a disappointing movie. Hopefully, the innovative marketing strategies those films have used will be matched by the substance of future releases, because it would be a shame for the experiment not to be a positive one in the long-term. Still, this was definitely the right decision for John Krasinski's excellent little movie.